If you are brushing and flossing twice a day, but still feel that your smile is not as bright as you would like, then our professional teeth whitening treatment might be for you. As an Enlighten Regional Centre of Excellence, you can feel safe in the knowledge that your teeth whitening treatment will be explained and your dentist at The Smile Clinic will be able to answer your teeth whitening questions. At The Smile Clinic, we use dental products that are supported by extensive clinical studies and that we would be happy to have in our own mouths. 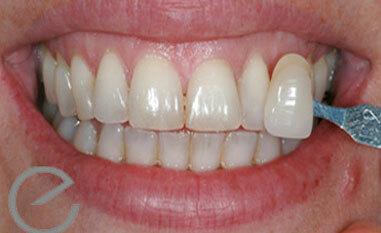 For this reason, we are proud to provide our patients with the tried and tested, Teeth Whitening system from Enlighten. Find out more about the Enlighten Teeth Whitening treatment we use at The Smile Clinic, in the patient video below. 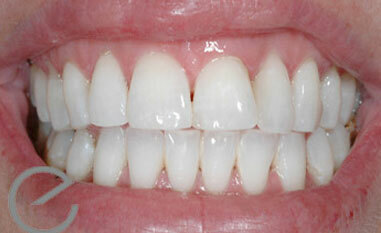 WHY CHOOSE US FOR YOUR PROFESSIONAL TEETH WHITENING? At The Smile Clinic our approach is simple, we believe in offering the best in personalised dental care and state of the art technologies set in the comfort of a relaxed and safe environment. This means we believe in ensuring each of our valued patients feel fully comfortable and confident in every step of their treatment. We are extremely proud to announce that we have been awarded the status of "Enlighten Regional Centre of Excellence” by the Enlighten Research Laboratories for both of our teeth whitening dental practices in Colchester. This combined with our clinical knowledge in dentistry, ensures your teeth whitening treatment is in safe and reliable hands. The Smile Clinic uses, Enlighten Evolution Whitening, which is a combination treatment that consists of a 2 week home treatment followed by a 1 hour visit to one of our whitening dentists. It works by increasing the tooth‘s permeability to oxygen which breaks down stain molecules to give you that brighter, whiter smile.